We continue our Celebrating 40 Years of Walt Disney World Series with a look at constructing a contemporary icon. The Contemporary Resort is one of the most iconic buildings of Walt Disney World. As one of the innovations of the Florida Project, Disney worked with US Steel to build the Polynesian and Contemporary Resorts. At the time, US Steel was very excited to be involved with the Walt Disney World project. Although the business separation after the hotels were built was not as amicable as hoped, US Steel went into the project hoping to create efficient and inexpensive building models. They were also interested in using their partnership with Walt Disney Productions to enhance their image. US Steel has helped to create other iconic structures, including the Unisphere at the 1964-1965 World’s Fair. Moving the rooms from the US Steel site to the construction site. Working on the exterior of the Contemporary. Rooms being lifted into place by crane at the Contemporary. What follows is a minute and a half public relations piece for US Steel that focuses on the company and its modern building techniques. You do get to glimpse some of the interior furnishings near the end of the commercial and there are some great shots of the rooms being constructed. The following two shots show the US Steel building in its current incarnation. The second shot shows the plant in relation to the Contemporary Resort. 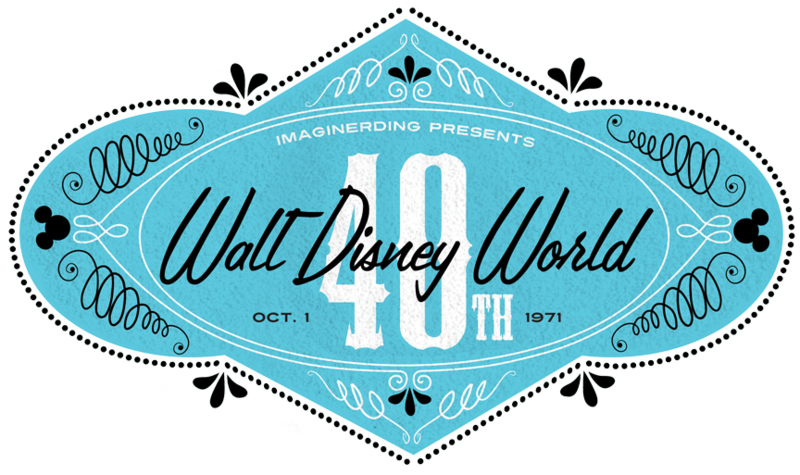 October 2011 marks the 40th anniversary of the opening of the Walt Disney World Resort in Orlando, Florida. The Vacation Kingdom has seen a lot of changes over the past four decades and the editorial staff at Imaginerding wants to celebrate the unique and rich history of the resort with a series of posts. A very special thanks to Celeste Cronrath for designing the series of logos for our posts. Make sure to follow her on Twitter. Halyx: For Those About to Rock…at Disneyland! I had known the facility was near by, but the aerial photo seems crazily close. And still there! Thanks nice post, makes me want to learn more about those modules.